A powerful force in American luxury, Michael Kors delivers a sporty, sophisticated aesthetic to its eyewear line. From the modern, clean eyeglasses featured on FramesDirect.com to the chic, wearable outerwear parading down the runways, Michael Kors continues to be a popular choice with those seeking accessible luxury. 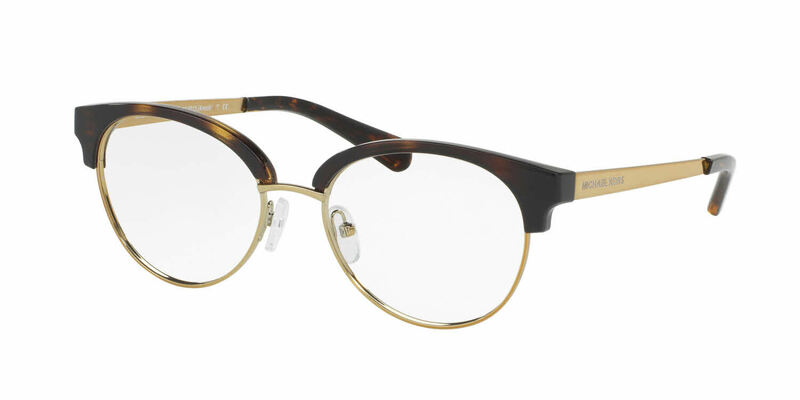 Offered in a spectrum of colors and shapes on FramesDirect.com, Michael Kors eyeglasses for men and women feature beautifully refined details and textures, like the gold Michael Kors emblem or an embossed, tiled logo on the temples. While sometimes bold, the hues also manage to retain a classic tone, complementing a look rather than overpowering it. Full-rimmed and semi-rimless frames come in a variety of shapes and are suitable for all faces.If you need help, you can always contact our expert opticians at 1-800-248-9427. Due to manufacturer's restrictions, Michael Kors products cannot be shipped to Australia. Michael Kors MK3013 is a Full Rim frame for Women, which is made of Metal. The Michael Kors MK3013 Eyeglasses feature the following logo: Michael Kors on temple. Michael Kors MK3013 Eyeglasses come with a cleaning cloth and protective carrying case. I am pleased to affirm that although it took a little while to receive these frames and despite the unexpected delay with delivery, I am thoroughly satisfied. I appreciate the adjustments made on my behalf to speed up the delivery time despite an imminent delay announced by the supplier. I received the frames in reasonable time and as well was able to fill my prescription in time. Above all they look super on and I am very very thankful. As soon as I got these glasses I was in love! They were super cute and looked great! The only problem I had was that they put in the wrong prescription! So, when they call you make you triple check with them! However, they were super helpful and offered to put in the correct lenses free of charge! I would recommend trying out FramesDirect for sure! And, I would recommend these glasses!